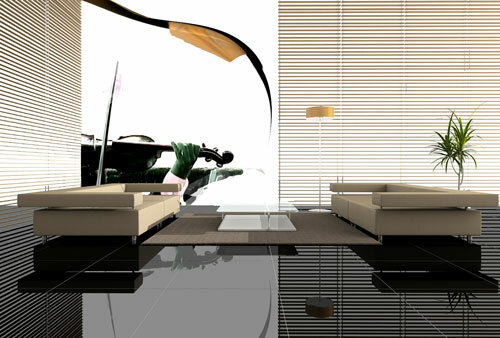 Moving painting is a growing genre of art designed for display on flat screen televisions and projection installations. Also called video painting, dynamic painting, ambient painting, and ambient video this medium exploits the ubiquity and affordability of screens and monitors in today’s world. Unlike traditional video art and film, the works are designed to be utilized daily in a living space. They are displayed on the wall as a traditional painting would be shown using flat screen or projection technology.